The three doshas (vata, pitta, and kapha) are the basic biological energies in all of us; these doshas govern all our physical and mental processes. Each dosha is derived from a combination of two of the five elements in our universe (Pancha Mahabhutas) – vata comprises the air (vayu) and space (akash) elements, while pitta is composed of fire (agni) and water (Jal/Apas). Vata is often associated with coolness while pitta is associated with hotness, which provides you with a balanced constitution. However, both vata and pitta doshas are associated with lightness, which is why diet and lifestyle changes are necessary in order to balance this quality. Many people think that modifying their schedule will rob them of the little free time that they have in their busy work day. However, a daily routine will help to streamline your day and increase your productivity and your free time. Balancing your doshas is the key to a happy and healthy life. Vata is characterized by restlessness, while pitta is characterized by a fiery confidence that results in a passionate and intense personality with a zest for life. A regular morning routine will help to pacify both vata and pitta and prevent imbalances. Have a regular time to wake up: Wake up within an hour of sunrise as this will help to sync your circadian rhythms (internal body clock) with nature. Don’t become dependent on the snooze function but instead, get out of bed as soon as you wake up. Spend time on oral hygiene: Practice oil pulling on a daily basis as this will help to reduce the bacteria responsible for cavities and bad breath. It also helps to loosen plaque and extract ama (toxins) from the body so that they can be easily expelled. Use a tongue cleaner to scrape away the upper layer of bacteria that has formed on your tongue during the night. If you have excess pitta, you might suffer from bleeding gums, so use a toothbrush that has soft bristles. Rehydrate: Vata is associated with dryness, so if you have excess vata you would probably wake up feeling thirsty and dehydrated. 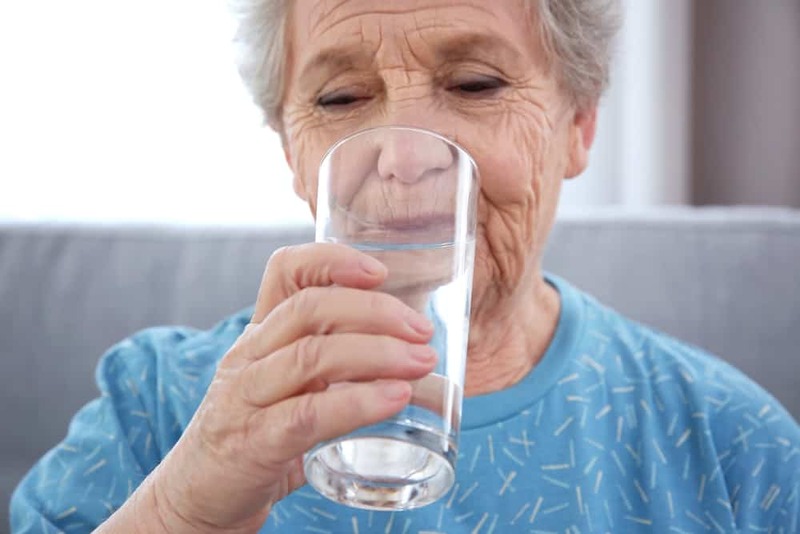 Drink a glass of warm water as soon as you wake up as this will keep you well-hydrated and also stimulate your digestive tract to prevent digestive problems such as constipation. Eliminate: In the beginning, you may not feel the urge, but simply sitting on the toilet can help you have a bowel movement (and prevent constipation). Daily evacuation is important so that it develops into a regular habit. Perform light exercise and pranayama: A short workout session consisting of low-intensity exercises will help to get rid of lingering sluggishness. Pranayama helps to clear mental fog, as well as focuses and channels the mind. On weekends, use sesame oil or sunflower oil to massage your feet before your morning ablutions or use a gentle dry-brush body scrub. Have Triphala before lunch: Triphala is a combination of three fruits that act as a digestive aid and also strengthens the immune system and lowers blood sugar and cholesterol levels. Triphala should be taken approximately half an hour before lunch and is ideal for vata pitta individuals as it helps to correct imbalances in any of the doshas. Do not work during lunch: Working lunches have become quite common as people try to maximize their output by working while they eat. This is not a healthy practice as you are unable to focus your attention on either task and so both suffer. Mindful eating will help to reduce problems such as indigestion and bloating, so avoid eating at your desk. Drink herbal tea after your meals: A cup of freshly brewed herbal tea in the afternoon will help to pacify vata or pitta imbalances. Cinnamon, cardamom, and ginger are good for balancing vata while hibiscus, chamomile, and peppermint are some of the best herbs for balancing pitta. Take breaks between tasks: Vata pitta individuals tend to get a little too intense to the point of aggression. Take breaks between tasks to help you channel your energy and stay focused throughout your work day. If possible, find a quiet corner and practice mindful breathing techniques to calm your mind and ease your stress. Assess your workday before you leave office: Take stock of all the work you have done during the day and plan your tasks for the following day. Identify any problem areas so that you know the pitfalls to avoid and improve your productivity. This time of reflection will also help to quell your nervous energy and will help you de-stress. Indulge in a moderate or high intensity workout: Vata pitta individuals tend to make good athletes and regular exercise helps them expend excess energy and improves their physical and emotional health. Opt for an evening run or a high intensity workout at the gym. Have a cool down session: Don’t skip your cool down session after your workout. This will help you cool down and enter a more restful state. It will also improve your quality of sleep and lowers the risk of problems like insomnia. Don’t rush through your night routine; instead, allow your day to wind down. Ideally, you should eat your dinner by seven and sleep by ten o’clock. If that isn’t feasible for you, find a timing that’s as close to it, so that you can stick to it on a daily basis. Don’t watch TV during dinner: Don’t rush through your meal as this weakens your agni (digestive fire). Do not watch television while eating and instead give your dinner your full attention. Have triphala after your dinner: Take triphala approximately two hours after your dinner before you go to bed. Triphala is a digestive tonic that has a mild laxative effect which improves digestion and prevents constipation. Listen to music: You can play soft soothing music and dim the lights in your room to soothe your senses and prepare you for sleep. Massage your scalp before you go to bed: Massage your scalp with an Ayurvedic oil before you go to sleep. You can make your own oil by combining sunflower oil with brahmi and orange essential oil. This will help to calm your mind and prevent you from overthinking once your head hits the pillow – a common problem for vata pitta individuals. Swap out your phone for a book: Go offline for at least an hour before dinner as scientific tests have found that the blue light from electronic devices interfere with sleep. Due to the dual nature of the vata-pitta type, these individuals are likely to suffer from either a vata or pitta imbalance. People with high vata are more likely to suffer digestive problems such as constipation and bloating, while those with high pitta are more likely to get acid reflux, gastric ulcers, and frequent loose motions. A dosha imbalance can also affect an individual’s personality – those with high vata are likely to feel anxiety and fear coupled with scattered thoughts and mental stress, while a pitta imbalance can result in impatience and increased irritation and frustration. The fast pace of modern life makes it difficult or even impossible to follow the ideal Ayurvedic daily routine (dinacharya). However, making even small changes to your routine will bring you closer to life’s natural rhythms and allow your internal body clock to adjust to the rhythms of nature. The important thing to remember when creating your daily routine to balance vata and pitta is that you should start slow and only tweak your schedule once you are certain that you can manage to stick with it. Diet and nutrition has the biggest influence on your dosha levels. 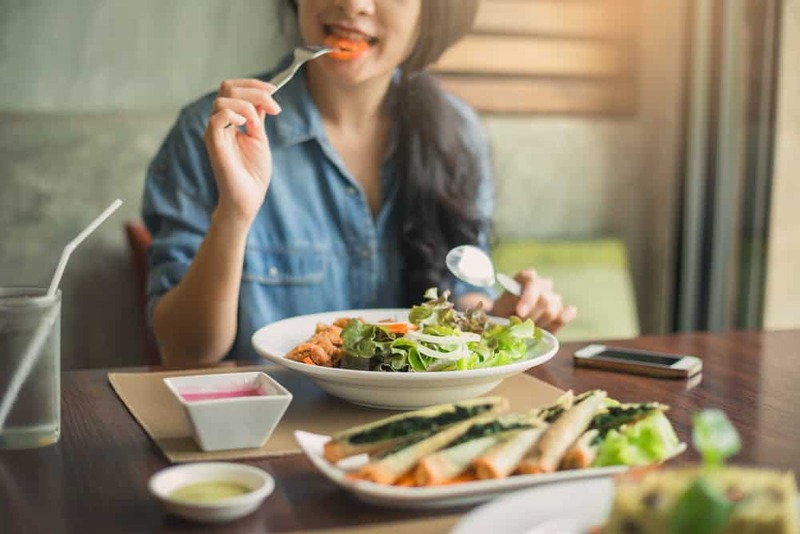 Find out how different foods affect the doshas and follow a vata-pitta balancing diet to preserve your optimal dosha balance.